Who Will Win The 2019 Masters? 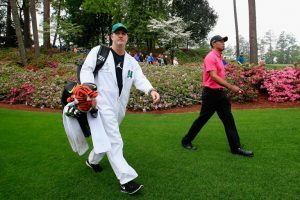 The Masters is a high holiday for all golf fans, from casual to serious to obsessed. It attracts more attention than any other tournament, even though its field, on balance, is the weakest among the year’s four men’s professional majors. It’s unique. It’s fully American. And if you ask any Tour player which major they’d most like to win, it’s this one. As with every edition of The Masters, this year’s is chock full of tasty storylines. Can Tiger come “all the way” back to pick up a fifth green jacket and 15th major overall? Can Patrick Reed become the first back-to-back winner since Tiger in 2001-2002? Can Rory McIlroy complete the career grand slam? Can Justin Rose cement his No. 1 status and finally break through after coming so close two years ago? What about Mickelson? Dustin Johnson? Rickie Fowler? Some out-of-nowhere dark horse? To help stoke Masters Madness even further, we’ve gone to Golf Tips’ Top 25 Instructors to get their predictions on who will win, and why. If you haven’t yet completed your office pool or betting parlor parlay, take note. I think that Rory has a great chance to finally win a green jacket. He’s coming off a win, has played well this season and has done well at Augusta in the past. Augusta favors someone who can hit it long and has a right-to-left ball flight. He fits that picture well. If his putter is on, I can see him winning, but he must putt well to have a chance. I’ll take Justin Thomas. Not a daring pick, but he’s just awfully good. I have to go with my heart. Brooks Koepka wins his fourth major. Editor’s note: Bottke is Koepka’s longtime coach. My pick is Justin Rose as his game is sharp and complements the course well. I predict Tommy Fleetwood to win the 2019 Masters. The Englishman is due for a breakthrough in America soon. Why not at the most American tournament, where nothing is out of place — just like his game and attitude? He’s one of those players who, when he gets going, look out. Unless he beats Tiger by a shot, he will be an amazingly popular winner. I’m going with … Francesco Molinari. I am going with Rory McIlroy. I think he is in a really good mental state that will allow his game to shine. I'm picking Tiger Woods. And I'm simply picking him because I think that course favors experience. And, it would be the greatest story in our lifetimes of golf. Go Tiger. I’m going with Rory for the career Grand Slam. He’s in control of his game. He’s inspired. He has learned from his previous Masters mistakes. And he’s in a good place off the course. I’m going to go with Tiger Woods. He has prepared for this event and wants it more then anything. Has the experience, is hitting it well, is the best putter of all time and he’s Tiger. I agree with Warren Bottke, Brooks is a strong pick. But I have a feeling about Bryson DeChambeau. Something he said to me at the API makes me believe he will wear a green jacket. I'm going out on a limb and picking a “patriotic” longshot. I’m picking 2003 Masters winner, Mike Weir. My pic is based on Cory Connors winning in Texas last week and my belief that his win will motivate Mike to another Masters win. I’m having to go with Tony Finau. As long as he doesn’t roll his ankle or try any new acrobatics during the par 3 challenge! I believe Rory will win. This years Masters “toonimint” will be won by “Eldrick” Tiger Woods , capping the most iconic comeback in the history of sport. From the mountain top to the basement, to returning to golf’s Holy Land, Augusta National, to win in 2019. 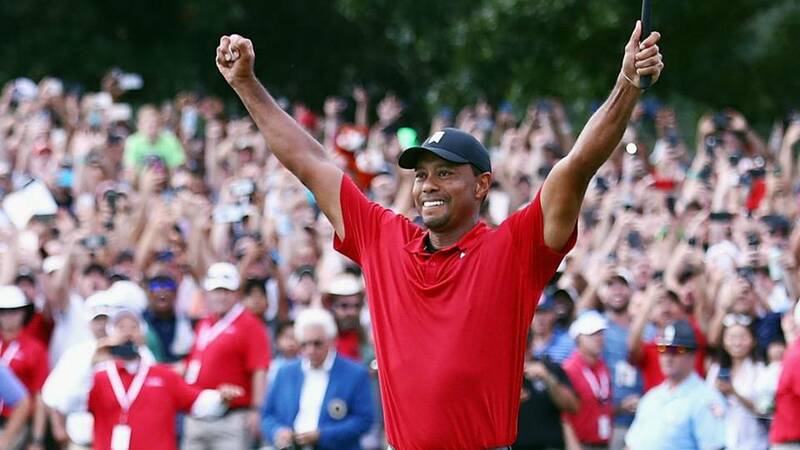 Finishing one shot back after an epic Sunday back nine battle: Tiger birdies 17 and 18 to fend off both Barry “Golden Gloves” Goldstein and Big Bob “Long Ball” Grissett, who each trade birdies on 17 and 18. I’m going with Justin Rose. His iron play is unmatched; Augusta is a second shot course and he owns that category. I’m going with the sentimental favorite — Tiger. Only because I would like to get the “Jack’s Record” talk back again and, frankly, it only helps our business when he starts playing well week after week. However, I will say that DJ is poised and ready for greatness at Augusta. I think you’d be crazy to bet against Paul Casey. He always plays well at Augusta and he’s coming off a recent win too. He’s the “safest” bet I know. I am picking Tommy Fleetwood. He has been right there a number of times, has a great game, great temperament and a great putting stroke. I believe he is ready! And I’ll go with Xander Schauffele as a second choice. Tony Finau! Power and grace. Augusta suits his game. Good golf mind and temperament. 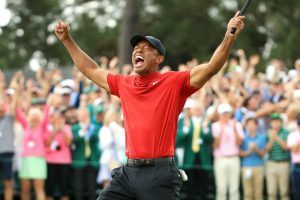 As much as I want to see Tiger roar back to the winners circle again at Augusta, I don't think this is the time for another green jacket, but I hope I am wrong. I have a favorite of Tommy Fleetwood and an long shot of Charley Hoffman. Hoffman was in the hunt last week and I like guys running hot heading into the Masters. He has been there before and made some noise last year with some great rounds and an ace. Fleetwood can roll his rock and could be primed for the title in 2019. On a side note, the usual suspects will be on the board. We will see their names, they won't finish the deal, but will play well: Phil, Freddie, Sergio, Spieth, Tiger, and Bubba. I head to Augusta on Wednesday, for my first trip to the sacred grounds — looking forward to the one day experience for sure.